The 1st Chinese word I will have to learn. The brush begins by a dot on top, then falls downward. 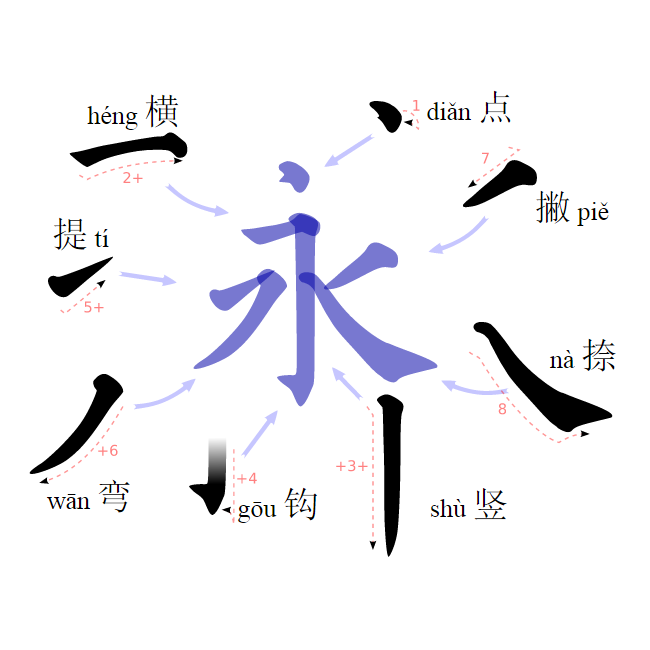 is sometimes added to the 永's strokes.